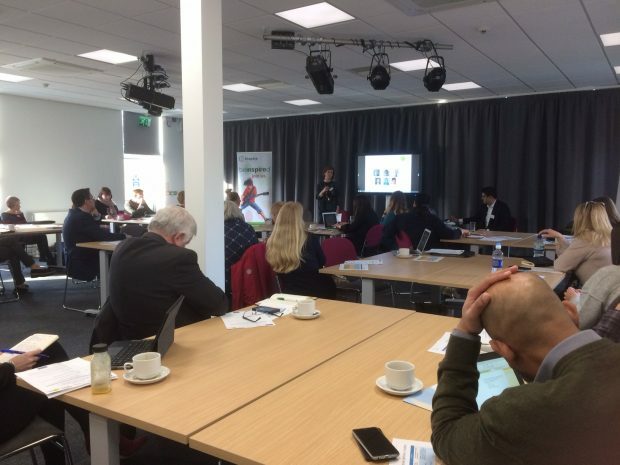 In March last year, we published reports on two free masterclasses we held in London (on 24 March) and York (on 28 March) on alternative delivery models. Commissioned by DCMS, through the Taskforce and the Mutuals Team, they were run by a consortium (Optimo) which brought together the four existing libraries mutuals: York Explore, Libraries Unlimited, Suffolk Libraries and Inspire Culture, Learning and Libraries – and consultancy firm Mutual Ventures. Both Masterclasses were fully booked, with representatives of nearly 50 local authorities turning up to benefit from the chance to hear how these pioneering organisations made the most of the opportunities, and worked through the very real challenges, of becoming a public service mutual. We got very positive feedback from people who attended, so we said we’d consider running another Masterclass event if there was a demand to do so. That’s why we held a third Masterclass (a reprise of the previous two), on 12 December. 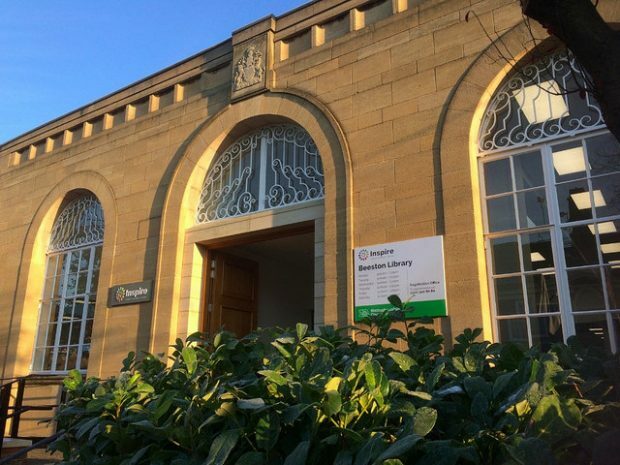 It was hosted by Inspire Culture, Learning and Libraries, in their newly refurbished Beeston library. As with the masterclasses held in March, the day was split up into sessions covering different aspects of Public Service Mutuals (mutuals) and other alternative delivery models (ADMs), and ways to help library services and local authorities take their first steps in exploring the different options and what they mean for their service. The focus was very much on the practicalities of assessing the options open to library services, and then the challenges of establishing mutuals and other alternative delivery models. The session was based on the real-life experiences of trailblazing library services, alongside specialist expertise on technical issues. Most importantly, attendees had the chance to hear from, and put questions to, the leaders of existing library service mutuals - in workshops, question and answer sessions and, just as importantly, informally during networking breaks. How do alternative delivery models fit into the bigger picture? John Glen, our Libraries Minister, filmed a keynote address especially for the event. He emphasised how critical it was that library services meet the needs of their local community. The recently published toolkit on longer-term, evidence based, sustainable planning covers the sort of issues he felt councils should consider in planning strategically for the future - he encouraged people to take a look at it, if they hadn’t already. He pointed out that doing this is likely to mean councils and library services thinking and acting differently. The way people use libraries and other public services is evolving; councils should embrace change and think strategically about reform and service delivery, rather than considering the future of the library service in a piecemeal way. The Minister suggested that considering alternative delivery models was one of the ways to do this. He hoped that the masterclass would help each council decide whether an alternative delivery model might be something it wanted to explore further; or if it was a route that wasn’t right for its communities. Either way, he stressed that the important thing was that decisions about future library service provision were based on robust evidence, and having considered a full range of funding and delivery options. the processes that local authorities were recommended to follow to work through all the stages of implementing an alternative delivery model for their service: How do I spin out my service? Both these sessions were run by Mutual Ventures, who provided technical advice to both York and Devon when they decided to implement new forms of governance for their library services. The speaker emphasised how vital it was to start from the base of: a robust library strategy; a focus on customers’ needs; and the need to clearly establish what the service was aiming to do, before looking at structures and legal forms. Is a new model right for my service? This focussed on how to decide if you need a new model, and which model is right for you. This helped attendees think through the initial investigation process - from involving stakeholders, through creating the case for change, deciding which services are in and out of scope, to undertaking an objective options appraisal. During these discussions, it was made clear that a new delivery model would not necessarily be right for all situations; and that retaining an in-house service, with some re-engineering, was an option that should also be examined as part of this process. York Explore, Inspire and Suffolk Libraries led sessions talking about how they had involved staff in setting up a new organisation, and the challenges of building a new organisational culture. They gave a very honest account of what works (and what doesn’t), both during the design and implementation of a new model, and after the new model goes live. Libraries Unlimited and Suffolk Libraries shared first-hand experiences of the challenges and opportunities of building a culture of public service entrepreneurship. This covered the new commercial disciplines, skills and activities needed for new models to thrive - from developing innovative new services, to marketing and branding a new organisation, to becoming contract- and investment-ready. Discussions covered: the need to ensure systems were set up to be able to handle the income generated; the importance of maximising the use of building assets (by activities or via room hire) whilst balancing financial considerations with social impact; the cost-recovery business model supporting the innovative Exeter Fablab; staff-led Adopt a Book schemes; and new and evolving approaches such as supporter schemes, putting a membership overlay onto gifting, to build deeper relationships. An important message was to learn from other commercial organisations in your area. They are often both well placed and willing to help with a variety of things: examples might be mentoring, training, sponsorship and corporate volunteering. Expert commissioning: the role of the local authority. Inspire led this session, alongside their commissioner. It focussed on how councils should consider their approach to commissioning, how this ensures their statutory duty is met, and how to establish a fair transfer of risk and stretch in the relationship for the future. This was about balancing the potential of savings with the equally important factor of future service sustainability. Commissioners building a strong knowledge and understanding of the service, and the strengths of working in a collaborative way, meant that the commissioner could become an important advocate for the service across other parts of the council. There was also an important point made about any new organisations being realistic about what they could deliver and the timescales needed to retain and build credibility for future commissions. Is there any more advice available? DCMS and the Libraries Taskforce commissioned Optimo to draw together a toolkit to help library services considering alternative delivery models, which was published in March. We asked them to produce very practical guidance that could be used by a range of different groups - library service managers, council commissioners and transformation teams, councillors, Friends Groups and community groups - who might have a stake in looking at whether setting up an alternative delivery model (ADM) was right for their library service. In summary, we asked them to write something that they would have liked to have had to refer to when they started out on their own journey! The toolkit has masses of resources to help councils and their library service think through all the different stages involved. It also describes potential advantages/disadvantages associated with each type of ADM. It covers all the technical processes involved, but it also highlights practical learning from the real life experiences of library services that have gone down this route already - not only the benefits of doing so, but also the difficulties they had to overcome. Over the last year, the DCMS Mutuals Team has also made grants available through its Mutuals Interim Support fund to help library services, alongside other organisations, to undertake options appraisal work (to decide if this is an appropriate route for each service to take), and constructing and implementing business cases for change. So far, 7 library services have benefitted from this help. This grant fund has now closed, but DCMS Mutuals Team will be making more support available soon. It is set to launch the Mutuals Support Programme 2 (MSP2) in early January 2018, which will help aspiring and early-stage Public Service Mutuals access the professional advice needed at each stage of their development, such as legal, financial, business planning, HR and marketing. Alongside this, they're planning to establish a Peer Support Network to connect organisations which are in the process of developing a public service mutual, so they can share learning and challenges, and support each other through the journey. For mutuals which are about launch or have just done so, the team is also offering mentoring support, by matching leaders in new mutuals with experienced peers from across the Voluntary, Community and Social Enterprise (VCSE) sector. More details will soon be available on the Mutuals Team’s GOV.UK pages; or you can email the team to find out more.